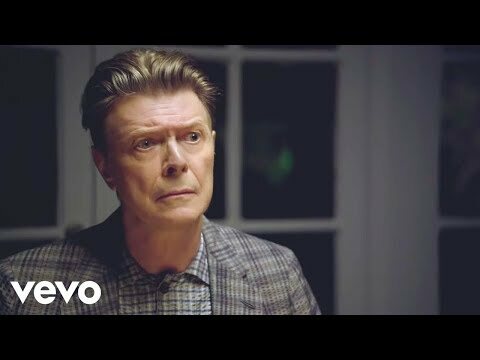 Black Dog Films‘ brilliant Floria Sigismondi directed the video for David Bowie’s aptly titled return to music, “The Stars (Are Out Tonight)”, and it is absolutely sensational. The short film begins with Bowie and his glowing alien doppelganger Tilda Swinton (have you seen the Tilda Stardust tumblr?!) playing an ordinary middle-aged suburban couple. That itself is shocking, but then a famous, sexually charged couple preys upon them and turns their idyllic, TV-dinner world upside down. Gender-bending supermodel Andrej Pejić and Saskia De Brauw play the celebrity pair haunting the ordinary suburbanites, and it all plays out in a delightfully bizarre spectacle of who’s-who. The surrealist narrative stars four people consistently paired with the world “androgynous” flashing in and out of uncanny resemblances of Bowie’s much-beloved personas. Both artists known for their avant-garde visual presence, Sigismondi and Bowie previously collaborated on his videos for Little Wonder and Dead Man Walking. Their reunion for “The Stars (Are Out Tonight)” speaks volumes about the current state of pop culture, as told by the re-inventor of pop himself. Everyone from Rolling Stone to the Hollywood Reporter has covered the playful short film, highlighting how Sigismondi’s out-of-this-world visuals have confirmed Bowie’s return to otherworldly form after his decade away from the spotlight.